Many of the musicians on this album had a poem written for / about them by Don Van Vliet. 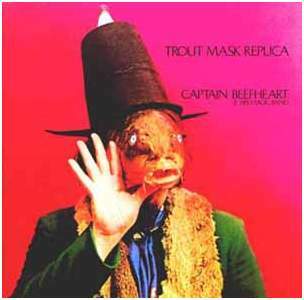 View Leach’s Listing for a thorough guide to who did what on Trout Mask Replica. The album was written in 8 and a half hours on a piano. Beefheart went a year and a half without any sleep. The band never took drugs. 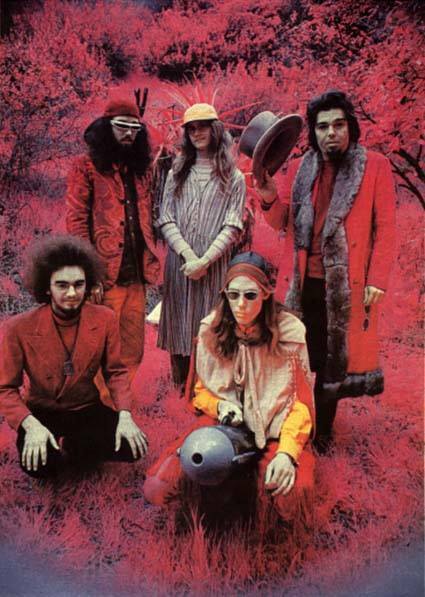 The musicians could not play before joining the band and were taught every note by Beefheart. -I Was A Teenage Maltshop by Frank Zappa and Don Van Vliet, 1964. Every description you have ever heard of the music on this album is true: it’s shocking, bewildering, inscrutable, dense, playful, hilarious, immobilising, a work of genius, unique, impossible, timeless, beautiful, overwhelming and immensely rewarding. Background music, however, it is not. Every time I put it on, I feel an initial tremble of foreboding and uncertainty before I’m lost once again in its incredible world which I know so well yet feels so fresh. If you haven’t heard it then buy, borrow or steal it immediately. 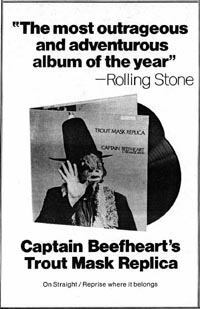 It’s Captain Beefheart’s most renowned work for a very good reason: there will never ever be anything remotely like it again and it’s worth putting in the effort to get to know it, no matter how awful that prospect might initially seem. None of this is hyperbole; you simply could not hype Trout Mask Replica. Trout Mask Replica by Lester Bangs, from 26th July, 1969 Rolling Stone. Trout Mask Replica by Buddy Seigel, from 25th March 1983 Los Angeles Times. An amazing Trout band photo, credited to Ed Caraeff, which appeared in Rolling Stone # 507 in 1987. More of these shots can be found with the Grow Fins box-set. View the Radar Station’s full information about the various editions of Trout Mask Replica which have appeared over the years. I have loved this album for 50 years. I really see it as two albums. The first is wild and crazy blues with such songs as Moonlight on Vermont, Dachau Blues, and China Pig. The rest is sheer avant-garde madness. 1969 was quite a years for both popular music and jazz with many classics that stand up well today. I own about 70 of them. This year saw albums as diverse as In a Silent Way (Miles Davis), Hot Rats (Frank Zappa), Crosby Sills and Nash, Abbey Road, The Band, Nashville Skyline, Extrapolation (John McLaughlin), In the Court of the Crimson King, Let It Bleed, Santana, Monk’s Blues (Thelonious Monk), and Super Nova (Wayne Shorter). Captain Beefheart was in good company!